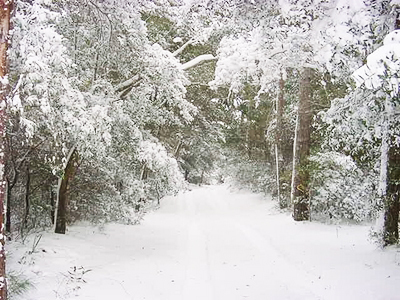 In the poem “Stopping By Woods on a Snowy Evening” the beloved American poet, Robert Frost, describes an idyllic New England scene, as he “watch(es) his woods fill up with snow…” and praises “the easy wind and downy flake”. Ha! Come shovel my driveway, Mr. Frost. There are no “downy flakes” here. Just mounds of heavy, wet, icy snow to strain my back. And worse, that snow also covers my backyard deck. When I finish clearing my driveway in 2 hours, must I then shovel off my deck? Actually: You don’t. Really? My aching back likes that answer. ♦ Don’t shovel your deck to avoid collapse. Building Codes require decks support more snow than most roofs. A properly built deck is not likely to collapse from the weight of snow. Read the engineering details in my blog post last month or just skip to the conclusion: “Here’s a rule of thumb: Your deck rails are probably 36” high. Don’t worry until the snow is above your rails (deeper than 3 feet.) If you can see the rail tops, you’re OK — even with a little rain.” When snow is deeper than 3 feet, begin to worry. When snow is deeper than 3-1/2 feet, begin to shovel. ♦ Don’t shovel your deck to protect the wood. Water and snow are not nearly as harsh on wooden decks as some TV advertisers would have you believe. Indeed, in the south many experts recommend cooling wood decks on very hot days with water – turn on the hose and spray away. High summer temperatures and the drying sun cause deck boards to cup and misbehave. If you are skeptical, consider wood’s natural state: within trees, wood is moist or even wet and must be “seasoned” (dried out) before use. And rot? That’s why you built your deck of rot proof wood or plastic. ♦ Don’t shovel your deck to protect the synthetic decking. The plastic in these decks is impervious to snow. Cold winter temperatures may shrink plastic a little, but it expands back once warmer temperatures return. ♦ Do clear the snow to provide an exit path from your house. You should always have two separate exit paths from your house for safety. Indeed, Building Codes require two. If clearing that second exit path dictates you shovel some of your deck, then do it. But all you need clear is a path 3ft wide; no need to shovel the entire deck. Pay particular attention to your stairs and the hand rails — the “banisters” or “grab rails” — you’ll need to grab those quickly if you slip. ♦ Don’t forget your smaller family members: They need a path to the backyard too! ♦ Do clear the snow to provide a path to your grill if you cook outside during the winter, or a path to the bird feeder, to feed your winged friends. ♦ Do shovel the snow if you want the exercise. I guess you could call it exercise — if you are young. But by middle age, I’d call it work. 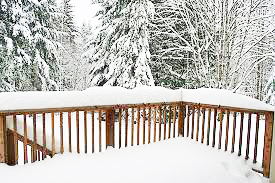 ♦ (Feb 2015) Do shovel your deck when the accumulated snow exceeds 3 ½ ft and you suspect the deck’s structure may be sub-par. Until recently, that much snow had been reserved for Canadians, but suddenly Americans can enjoy it as well. This afternoon my deck outside Boston has over four feet of the white stuff, with the promise of another foot in a few days. ♦ (Oct 2015) Last winter Mother Nature brought record cold and record snow (over nine feet of the stuff) to the Boston area. It also brought us a new warning: Do not dump snow from a roof onto your deck. Several feet of heavy, compact roof snow, thrown on top of an already snow-covered deck can severely damage it – whether you throw it onto the deck or Mother throws it on. The snow is nearly gone, so how does the deck look? Notice those boards on the ground; they are the joists that used to support the flooring. We had to rebuild this entire deck. If snow can damage your deck, is ice even worse? Find out in my article about ice. Yes, winter can damage your deck. As I showed in a related blog article, 3 ½ feet of snow weighs somewhere between 42 and 63 pounds per square foot. That’s right at the Building Code’s design load for decks — 40 or 60 psf, depending on your location. Construction standards include a safety factor of 2.5 to 1. That means a deck perfectly built to 40 psf will not fail until 100 psf. So is your deck safe under 6 or 7 feet of snow? No. With snow between 3 ½ feet and 8 feet, your deck — and you — survive in the limbo of that safety margin. Any imperfections in that deck — knots, splits in the wood, sloppy carpentry, weak nails instead of screws, wood that has dried and shrunk — reduce the deck’s safety. Indeed, weight above that 40 or 60 psf design load brings you not into a safety zone but into a danger zone. 1. Before it snows, make sure there are no nails or screws protruding from the flooring; these can catch a shovel or a foot. 2. The best way to clear a little snow is with a broom. A simple corn broom is best. It works well if the snow is fairly light and only a few inches deep. Light, fluffy snow is ideal, for you can sweep it under the rails; and, more importantly, the broom will not scrape, scratch or gouge your deck. And a corn broom will not catch on any protruding nails or screws. 3. 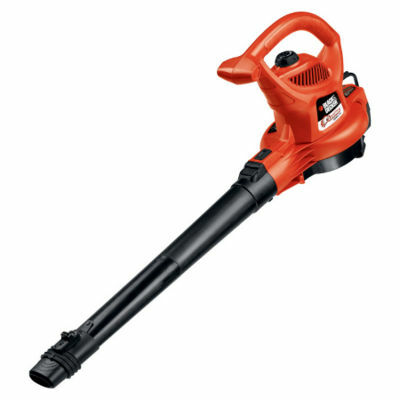 Or, if you have only a couple of inches of truly light snow, you can clear a path with a leaf blower. Really — it’s almost fun. 4. When the snow is deep – say, over four inches – you’ll need a shovel. Use a plastic shovel with a plastic blade. A metal blade can easily scratch or gouge your deck. Be especially gentle if your deck flooring is cedar or redwood; they are soft woods and most vulnerable to damage. Pressure treated pine is OK; hard woods like mahogany and especially ipe will fare better, but all wood is vulnerable. And so is composite decking, which is composed of wood and plastic. The newer PVC decking (Azek, TimberTech XLM, Fiberon Horizon, etc.) is scratch resistant and will survive a plastic shovel. Note that the manufacturers here do not claim their decking is scratch proof, so some care is still needed. 5. Shovel parallel to the deck boards, not across (perpendicular to) the deck boards. 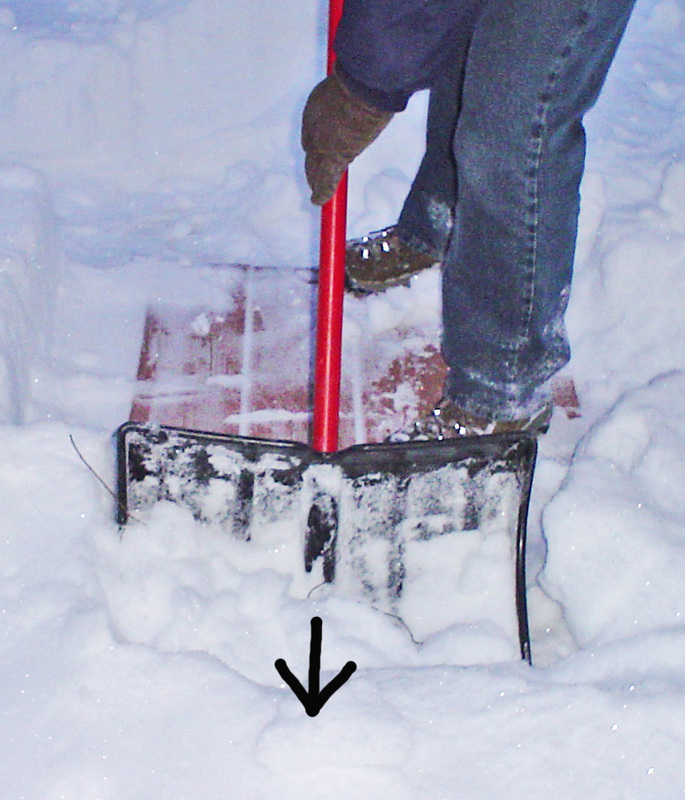 Otherwise the front edge of your shovel will likely catch the edge of a deck board and cause damage. 6. Never chop ice on your deck, even with a plastic shovel. You’re guaranteed to also chop your deck. Instead, melt the ice with chemicals. Use chemical power rather than muscle power. There are numerous choices for wood and synthetic decks. Rock salt or halite works by lowering the freezing temperature of water down to 15 degrees. Calcium chloride* is more effective; it interacts with ice and snow to create heat that melts ice down to 25 degrees below zero. Synthetic decking manufacturers recommend both. Happy Paws ™ snow melter claims to be safer than calcium chloride for pets and the environment. So if you need to or want to, sweep, blow, or shovel that snow. Just be careful not to scratch or damage your deck, and be especially careful walking on your deck afterward. Ice has a way of creeping back for revenge. NOTES: * Calcium Chloride is sold under many brand names, including “Safe Step”, “Winter Heat”, “Safe-T-Power”, “Quick Joe” and is available during the winter at hardware stores, lumber yards, and even super markets. More information about ice melting products is available at Cleanlink and Morton Salt. We at Advantage Design & Construction offer professional design and build services for clients west and north of Boston. Over the past 26 years we have designed and built over 950 projects. We have enhanced the depth of our expertise by limiting our work to decks, porches, sunrooms, and patios. To view some of these projects, visit our website. To learn how we treat our clients, check us on Angie’s List or read a recent article about us in Remodeling Magazine. For a free design consultation and a relaxed and rewarding design and construction experience, contact us via e-mail, subboston@archadeck.net or by phone, 781-273-3500. © 2011, 2015-2019 Advantage Design & Constr., Inc.
PreviousIs your deck ready for Winter? Awesome post – informative and witty. We need that kind of advice now in Northern Virginia. Kind of funny that Boston got 1 inch and we got 30! Okay, thanks so much. This is exactly what I needed to understand. You’re correct. I forgot to halve the pounds psf for 1-1/2 feet of snow instead of 3 – 3-1/2. I will now have peace of mind. Thanks for making this very timely post available! Thank you so much for this article. I was really worried about our deck. Only 3 years old, and the town’s building inspector said it could hold a jet plane. But when I saw the entire 20 x 20 expanse of deck covered by 1-1/2 feet of snow for well over a week or more, I wondered: is that too much, will it sink the footings, etc…….? Doesn’t that equate to roughly 5 tons of snow on the deck? It just sounds like so much! But from what you are saying, 1.5 feet of snow is not a problem for a deck that’s built well, correct? Actually, I just did my math again….that’s actually 10 tons, no? 400 square feet at roughly 50 pounds per square foot….? Marie, Focus on snow weight in pounds per square foot, rather than total tonnage. You said you had 1-1/2 feet of snow on your deck; that equates to about 21.5 psf. But your calculation uses 50 psf (3-1/2 feet of snow). Begin to worry with snow at 3 feet. Begin to shovel at 3-1/2 feet. Thanks for this and your other article. It motivated us to shovel our deck today, with FOUR feet of snow on it. You must be getting a lot of hits this week! Never seen anything like it !! Snowing again (Feb. 18) !!!!! I’m glad Ann that our chatting has helped you out. I see everyone shoveling off roofs and decks. With this kind of snowfall, it really does make sense to do. Stay warm !!!! Ann, Yes. Glad I could help. I have a juliet balcony off our attic (3 floors up) with about 4 feet of snow on it. I can’t move the screen door outwardly to get out there and shovel it. Is it okay and will it support all the snow that is coming our way (NH)? I’m very concerned about and don’t know whether to break down the screen door to get at the snow. I cannot give you an authoritative answer without detailed information about the structure of your balcony (and the size of the approaching snow threat). However, with a few assumptions you may be able to confirm, I’ll give you an estimate. A true “Juliet” balcony extends past the house wall only 1 or 2 feet. If your juliet balcony is built properly, then the joist backspan is 8 ft or more. (Balconies are structured as cantilevers. For an explanation of cantilever geometry, see my recent blog article, “What is a Cantilever?…” ) If the joists that support your balcony are at least 2x6s, and do extend into the attic floor structure 8 ft or more, then your little 2 ft balcony can support a lot more than 4ft of snow. No need to break down the screen door or to worry about collapse. Thank you – we did decide to break through the cheap screen door and get the snow off the balcony. It is a cantilevered deck and while it feels very sturdy, it is bigger than 2 feet wide. I think it is probably 5 feet wide by 4 feet? We are going to buy one of those velcro screen doors in the spring and not have to deal with this anymore! It just got me nervous with all that snow and more to come today and tonight. I very much appreciate your reply. Thank you. I feel so much better knowing the snow is off there. The roof is very steeply pitched, so I’m not worried about that, but can see a lot of icicles. I have a feeling all of us in new england will be dealing with ice damming soon! Stay warm!! PS – I just went and measured the balcony – it is 8 feet 8″ long by 5 feet wide. Probably a good thing I got the snow off it !! There are no brackets underneath and is held on by the floor joists. Clearing the snow off your balcony was wise. The weight load dynamics of snow on your balcony extending out 5 feet differs dramatically from on a juliet balcony extending only 2 feet. There is 2.5 times as much snow, and worse, the geometry of such a cantilever magnifies that load. The joists supporting your 5 foot balcony are probably undersized and the backspan could be insufficient as well. ( Again, see “What is a Cantilever?…” ) You also mentioned a steeply pitched roof above – might that roof dump snow onto you balcony? Yes, we are leery of going out on this balcony, but it seems sturdy enough. We are extremely glad we did get the snow off, as there seems to be another 7″ out there already. Since the house is fairly new (12 years), we can only assume the builder and building inspector have done it correctly and can carry the load of people plus a small table and chairs. We do stick to the bottom back deck below it!! I always look up at it and am surprised as well that it is only attached by floor joists in the attic. The other homes in the area have the same third floor balcony. So far, none of them have fallen off!! Smile! The roof is pitched so that the peak above the balcony is centered. All the snow will fall to the side. Thank you for all your advice!! So appreciate it. Still snowing out ……….. ugh. So glad I found this website. I’ve got about one and a half feet of snow on my “balcony” deck and were supposed to get another 3 inches tonite. I was worried if it was going to get too heavy and cause a collapse. I can rest easy, after reading the deck weight requirements. Thank you, and goodnight! Thanks for the helpful info. I was worried about the recent snow on my deck. I am physically unable to remove the snow from the deck but was concerned about my deck being ruined from the snow on the deck. Thanks again. Great a article Jim, it was informative and enjoyable.